Watching and hearing about the devastation in Texas (and following the news about Irma) makes us wonder, "What if this were us?". We definitely don't like to think about bad things happening, so we often fail to prepare for emergency scenarios. 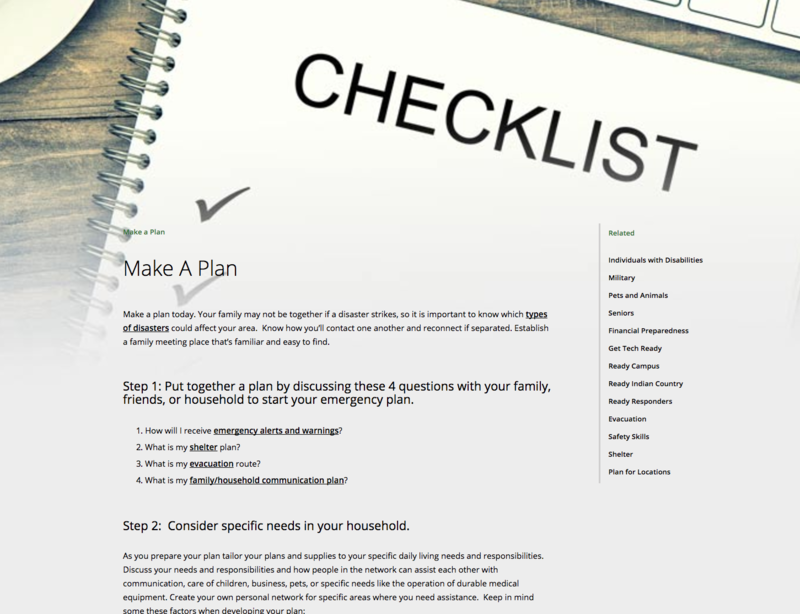 It includes a family emergency communication plan, a plan for kids and pets, and how to document and insure your property. A few minutes of planning can help you in the long run. Lots of prayers to our friends just south of us.